Microsoft is now giving away PC antivirus for free to home users. 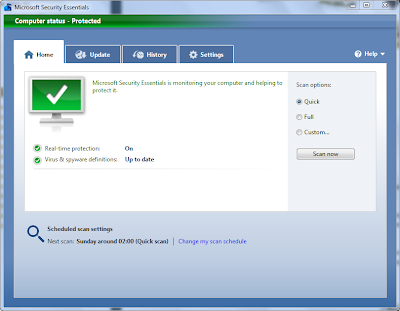 It is called Microsoft Security Essentials and it contains anti spyware and antivirus protection. So if you want to save money from buying 3rd party antivirus like McAfee or Norton, this could be a good alternative. I wouldn't say it is 100% proven to give the strong PC protection but sufficient for Home use.